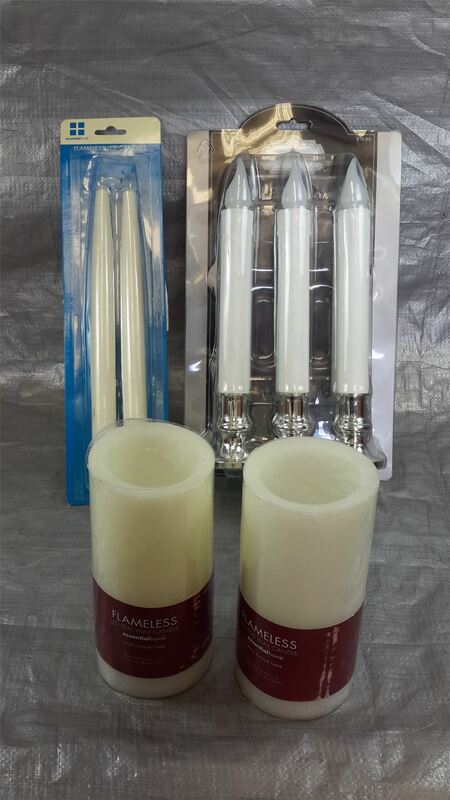 This is a wholesale lot of 12 LED flameless candles. This lot contains a mixture of types, see pictures for examples of what you'll receive. There are 5 Single Led Real wax candles. The rest are a mixture packs of 2 or 3 tapered candles per pack, each pack is counted as 1 of the 12. These items are new mostly still in original retail packaging. Click the button below to add the Wholesale Lot of 12 LED Flameless Tapered and Pillar candles Mixed Styles to your wish list.